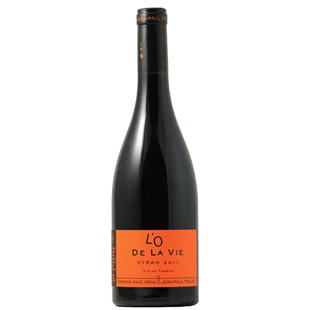 "Sporting a vibrant purple color as well as notes of violets, black and blue fruits, licorice and peppery herbs, the 2014 Minervois l’O de Vie is medium-bodied, very fresh, lively and balanced. Like all of the 2014s here, it shines more for its purity and elegance, more so than its richness and power. Enjoy this solid red over the coming 5-6 years."